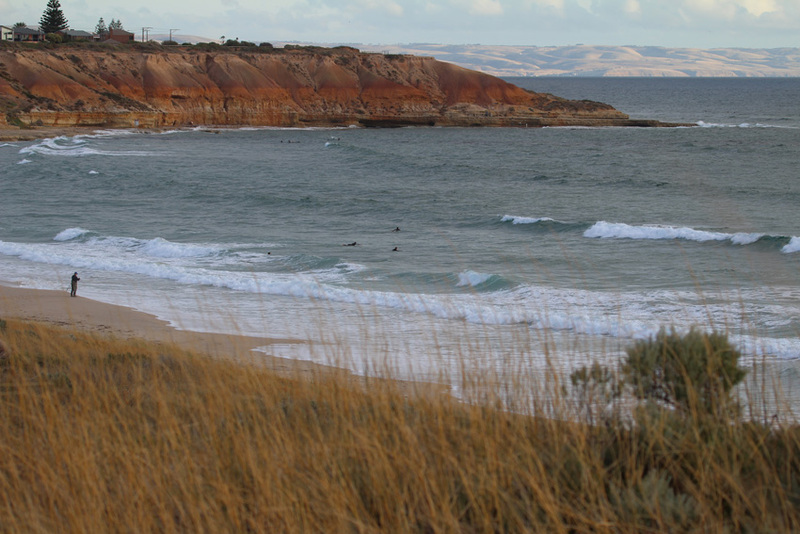 This week’s post is coming to you from Southport, a surf beach just south of Port Noarlunga but still sheltered by the reef (see Jan 21st post). I am sitting in a small cafe sipping a cup of coffee and reflecting on the last couple of hours spent wandering through the sand hills and along the beach. I had driven to Southport in the early afternoon with the specific intention of walking along the tidal flats, where the Onkaparinga estuary drains into the sea, to photograph crabs and wading birds. However, I had not counted on such a high tide; the mudflats were covered and I could only access the walking trails that meander through the sand hills from beach on the seaward side. I parked by the roadside and crossed the river on a small bridge below the cliff line and spent a few minutes watching anglers casting for bream and garfish. 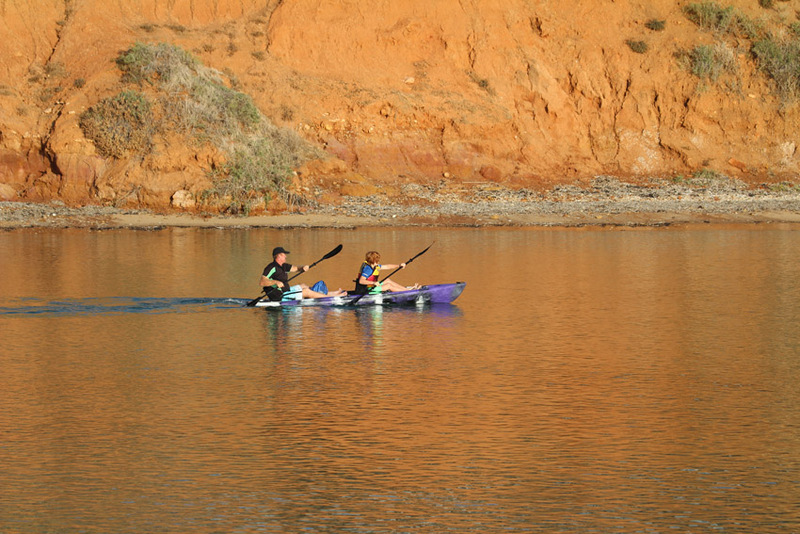 Nearby, a father and son paddled a sea kayak towards the ocean disturbing a small flock of black swans as they edged close to one of the steeper banks where the sandy slope of the dunes ran into the water. As I traversed the final set of dunes above the beach I felt the afternoon sea breeze on my face and caught the muffled crash of waves breaking on the shore. Several surfers were enjoying a choppy break and more adventurous anglers were wading into the white water to cast for salmon. I headed down to the sand to find one of the trail entrances to the dunes that open onto the beach. As I trudged through the soft sand I noticed a group of diminutive shore birds racing between the foamy lines of waves curving up the beach. At first glance they appeared to be similar in appearance but a more critical look through the telephoto revealed a mixture of species and sexes. One particular pair stood out amongst the others. I held my breath, refocussed and squeezed off a series of shots, dropped to one knee to better incorporate the water into the background and fired again. 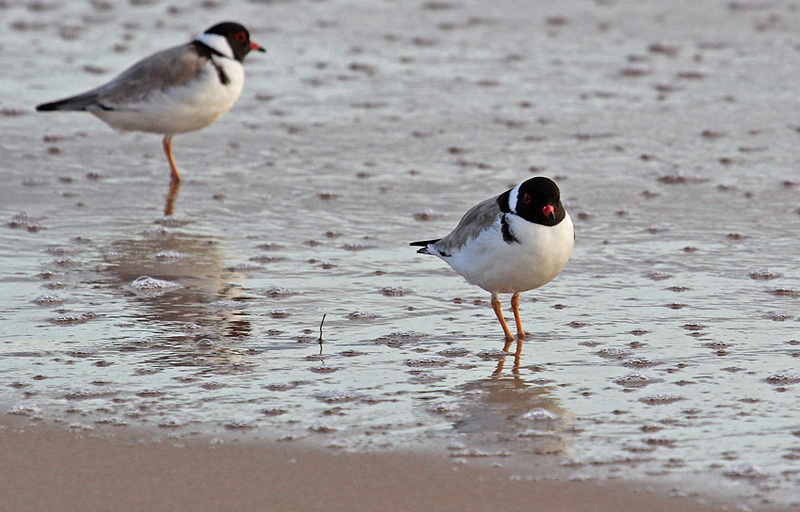 I was photographing a pair of hooded plovers, an endangered species that nests on open beaches and a bird that I had only glimpsed at a distance along the Coorong’s extensive beaches further south. As I captured the last image, the wind picked up and the little flock of waders lifted as one and flew further down the beach. A sat for a few minutes, smiling inwardly as I reviewed the images then continued down to the trail entrance. 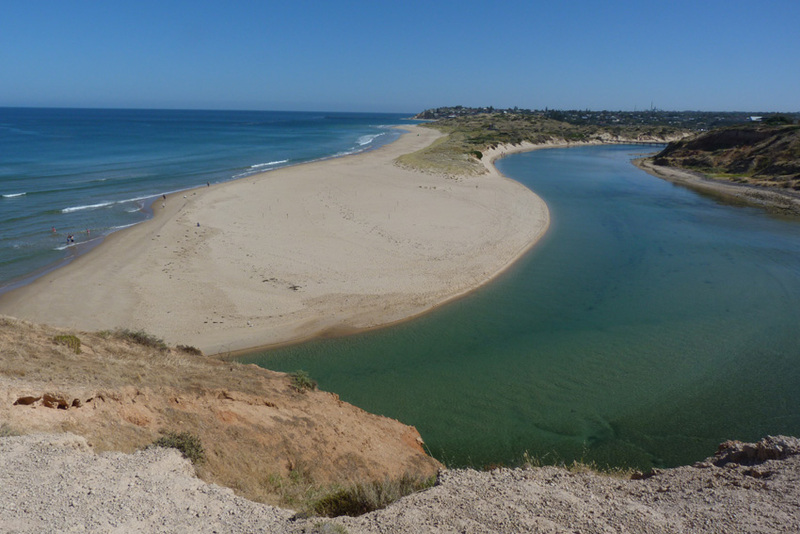 As I climbed back up into the dunes I reflected on the extraordinary beauty and diversity of this stretch of coastline, a mere 20 Kms from the city centre. Walking through the dunes was like entering another world made up of: low scrub, wiry grasses and a thick layer of undergrowth fashioned from the skeletal remains of branches and tree trunks. I walked slowly and paused frequently observing a variety of insects, several lizard species and an assortment of birds including: honeyeaters, magpies and crested pigeons. 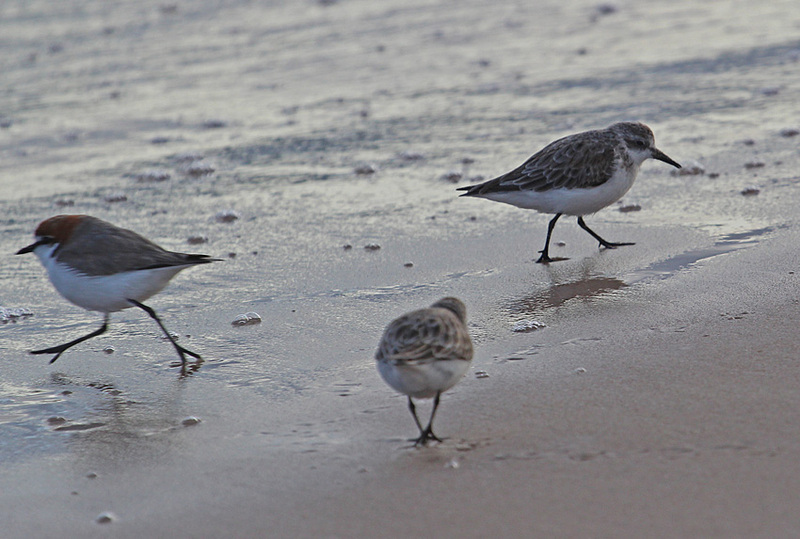 But today it was the ocean that called and as the light started to fade I took another track down to the shoreline and worked my way back to the section of beach where I had encountered the plovers. 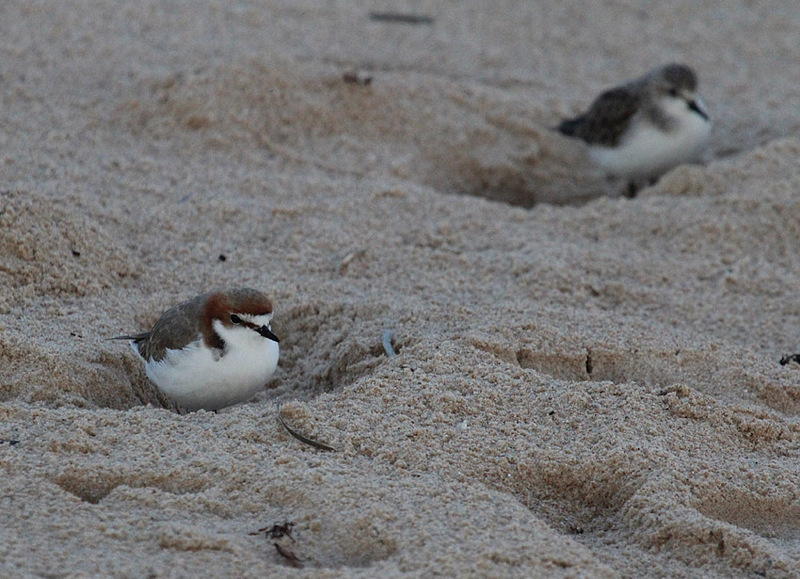 Sadly, the plovers were long gone but a little group of red capped dotterels remained, bedding down for the night in the footprints that I had left in the sand when I walked this way just an hour ago. My coffee is finished now and it is time to drive home and share this afternoon with you. And yes, dear reader, I missed the tide but somehow I think it might have been for the better.